Back in 1984, when Environmental Design Group first opened its doors, the thought of branding and what it meant for overall business development was not a part of regular conversation. In fact, it was incomprehensible. For many years, Environmental Design Group didn’t think about branding as a form to differentiate ourselves from the competition. Instead, we were occupied with engineering roads, building trails and forming relationships in the industry. This is the backbone of who Environmental Design Group is – we build relationships and foster those partnerships to ensure the impacts we’re making in the communities we serve make a difference for everyone. So what’s changed now that our brand is so important? 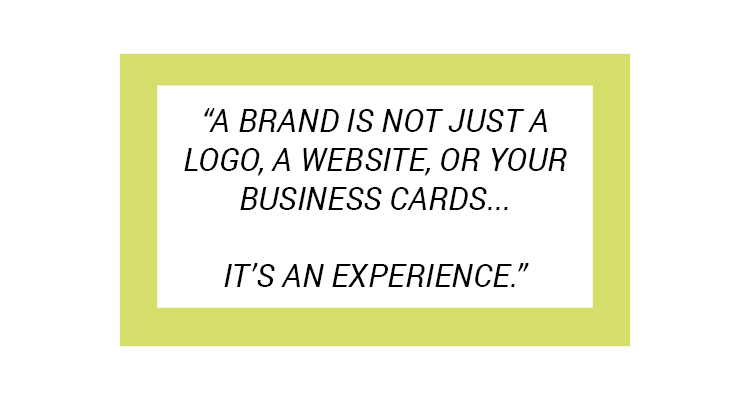 While our business ethics and morals have withstood the test of time, and our passion has led our business to where it is today, the meaning and effects of branding in the marketplace have changed dramatically. Environmental Design Group believes that everything we do helps to shape, define, conserve and restore land and water resources. We believe that every project has the potential to create a positive impact on the communities we serve. Our organization fosters success with integrated teams that thrive on collaboration. We’re change agents. We’re passion seekers. We’re the community impact people! About a year ago, we set off on a journey to figure out how we could best tell our story, and without knowing where the process would take us, we ended up here – a place where associates demonstrate their passion for the impact their work has on our clients, and even more importantly, the community at large. Now, we have channeled this “community impact” energy and excitement into everything we do, and today, we’re happy to be known as, the community impact people! In today’s industry, success is determined by those who can differentiate themselves from the crowded pack and create an emotional connection. While we’ve always thought of ourselves as the community impact people, we never really talked about it. It’s always been embedded in our core values but now, as the marketplace gets more and more crowded, we knew it was time to separate from the pack, form new traditions, wipe the dust off some of our old traditions, and start talking about why we are the community impact people! Now, from a visual standpoint, we can personify what we believe at our very core in a way that shows how our words and images can be integrated into our business process, and we can share this with the clients we serve. Environmental Design Group can’t be everything to everyone, but we can be something great to those willing to be pushed. We’re the aspirers, the visionaries, the envelope pushers, the creators and makers, the progressives, the accomplishers. We’re the community impact people, and we’re excited that our updated logo and new tagline can play a huge role in the work we do every day. Yes, the logo colors have been updated to elicit how and why we do what we do every day. The moss green was chosen to reflect the natural environment, and exhibits how our organization strives to make the best use of natural resources in everything we do. The navy blue was incorporated to reflect the importance of water balanced with urban design. It’s a perfect yin and yang for our business…note the logo formation! Over the last year, Environmental Design Group has witnessed a seismic shift in the way our business is seen, and the way our business is conducted because the industry is changing, and we believe this is essential for the well-being of our business. As we finished this phase of the branding journey, we realized this was just the beginning. We came full circle, and now we’re ready to draw connecting circles to form this ring of devotion we have to the industry. We’re ready to continue defining a sense of place that benefits everyone we serve. We’re ready to continue our journey in revolutionizing the way we think about business and the projects we take on because after all, we are the community impact people. Oh yeah, and we’re all getting new business cards and apparel too!